Don’t Look Now is the fourth video from the new frank record, frank IV: Music (and Other Bad Habits). Please sign join our mailing list for news about the record, early access to downloads and videos, and other fun. Record Release Party: Friday, November 14th! 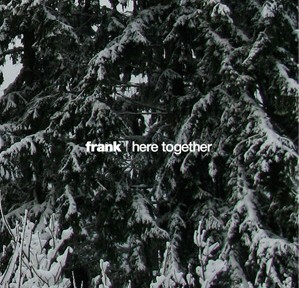 Echo Warm is the third video from the new frank record, frank IV: Music (and Other Bad Habits). Please sign join our mailing list for news about the record, early access to downloads and videos, and other fun. Negative Vibe is the second video from the new frank record, frank IV: Music (and Other Bad Habits). Please sign join our mailing list for news about the record, early access to downloads and videos, and other fun. The first video from the new frank record, frank IV: Music (and Other Bad Habits). Please sign join our mailing list for news about the record, early access to downloads and videos, and other fun.